Dozens of peace activists disrupted the opening of an arms exhibition in Paris on Monday, June 13. 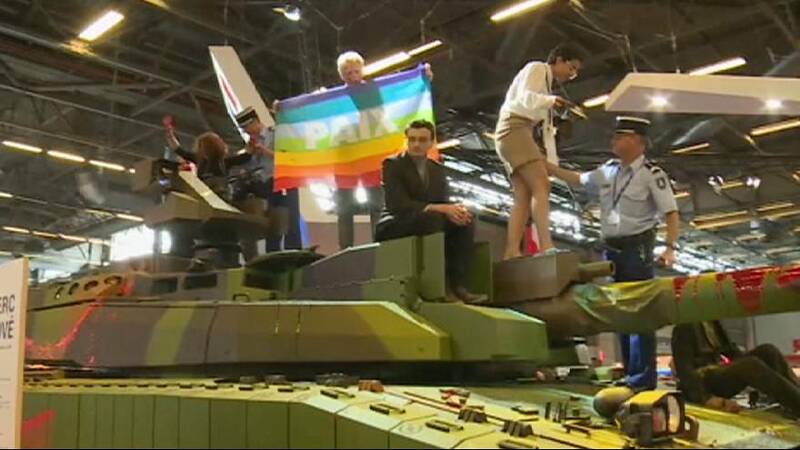 The activists threw fake red paint and yellow powder on a French Leclerc tank and an armored vehicle in protest at Eurosatory, a defense and security trade show. They formed a human chain and called for peace and an end to arms production.